In Spring of 2007, Brittany and Christina met while studying at their college university. Over the years they became close friends, college roommates, and built a friendship which they shared their faith and hearts with each other. After graduation both went their separate ways, as Brittany pursued her career in Tulsa, Oklahoma and Christina in Atlanta, Georgia; not knowing that one day their passion to care for the orphaned; and share God's grace and love - would make a way to bring them back together. In October 2012, they took the leap of faith and decided to pursue the dreams in their hearts. ORPHANS. In October 2012, they established a 501(c)(3) non-profit organization called Project Orphans. Their hearts behind Project Orphans are ones that are pure, they believe strongly that God has called every child to live a full life, and in doing so, giving is a major part. God is clear throughout His word, what His feelings are on caring for orphans. Project Orphans has successfully built and funded homes for families to care for orphaned children in Brazil, Haiti, Uganda and Guatemala. After being part of these children's lives through providing them a home and family - Project Orphans decided to build establish it's own operations in Uganda as an Non-Governmental Organization..
Project Orphans was founded to be an organization that builds dreams and restores lives. We take risks and risk it all for God’s glory to be known. Brittany Stokes was born in Ohio but raised in Oklahoma. Growing up Brittany watched her grandmother fight through the terrible disease known as MS. Her grandma is one of her biggest inspirations. She taught Brittany that no matter how much pain life throws your way to press through and to never give up. Brittany graduated college right after turning twenty years old. She put her communications degree from Oral Roberts University to work at a large advertising agency before taking a step of faith and devoting all her passion to Project Orphans. She had worked in various leadership roles with her clients Remington Arms, Under Armour, Bushnell and other outdoor companies. Although successful in her career, she has always had a passion for philanthropy and children. In 2008 – 2010, she founded a non-profit organization that gave over 2,000 inner-city Tulsa students a Christmas party – something that the children hadn’t experienced prior to Brittany. Brittany's expertise is with corporate branding and advertising. Her goal is to honor God with her life and live with integrity. Now her mission is to help expand Project Orphans, planting orphanages all over the world. 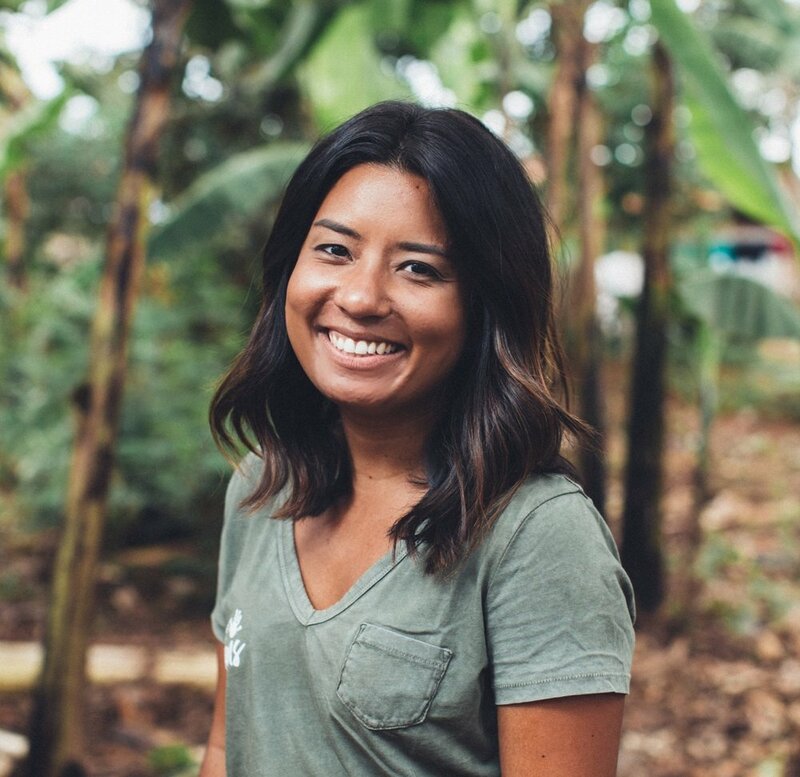 Her desire is to give orphaned children the opportunity to become children who grow to influence and impact their family, community and country. Brittany is married to Kyron Stokes and has two daughters, Briley and Kynlee. Christina was born in Kingston, Jamaica, and lived there for 13 years before migrating to the United States. She attended Oral Roberts University in Tulsa, OK where she obtained a degree in Business Management. Over the years she has worked in sales and is currently working in the travel industry at American Express. Christina has always had a heart and love for children, while in university she had the opportunity to visit an orphanage. While there she was shocked to see the many children roaming the streets, with no supervision. Growing up in Jamaica, she had seen poverty, but it had never hit her the way it did when she was there. She believes in being available; her prayer is that her life story and her ‘dash’ will always be about ‘others.’ She has a passion for children and seeing the lost and broken restored. She loves being a part of something so much bigger than herself and having the opportunity to help those in need by being His hands and His feet through the work of Project Orphans. Christina is about doing what she loves, with a purpose that will outlive her life. George and Sarah Mugume serve as the Executive Directors for Project Orphans in Uganda. Basically, they make everything happen and do so with the most loving and selfless hearts. George and Sarah were married on July 27, 2013, and have two beautiful children named Conrad (CEO) and Courtney. George and Sarah have a huge heart for the suffering children of Uganda who have lost hope and don’t know who Jesus is. They have a desire to see lives changed and generations transformed. Sarah has a huge passion for children who are unable to afford an education, something she personally experienced, and loves playing a huge role in Project Orphans’ Child Education Sponsorship program. After working closely with Project Orphans through different projects - God opened the doors for George and Sarah to become a part of the Project Orphans family - permanently. George oversees the community and village relationships; as well as the operations of the organization in Uganda. George has his degree in business administration and a diploma in social work and uses it to help keep children in safe and loving environments, transform villages and oversee the relationships of those Project Orphans is helping. Sarah has a diploma in business administration and a bachelors of commerce specializing in accounting. Basically, she is the brain of our operations in Uganda. She helps manage the bookkeeping, accounting and student sponsorship activities. Sarah also helps provide updated information to our offices, in the USA, of those children in our sponsorship program. WHO ARE BASED IN THE UNITED STATES, ALL SERVE ON A VOLUNTARY BASIS.